Ken Ekers is a Director of Perr&Knight’s System Implementation Support Services practice. In this role, Ken oversees a unit of highly skilled developers, project managers, business analysts and product analysts with several years of experience analyzing, designing, developing and managing the implementation of client systems of all sizes. His team specializes in assisting clients in the development of insurance product definitions, business and IT requirements elicitation and documentation as well as IT Project and IT Program management. Ken has 20+ years of experience in the insurance industry covering both IT and product/business areas. His breadth of knowledge extends to both commercial and personal lines of business. Ken served as a soldier in the United States Army for over three years and spent a tour of duty in the Middle East during Operation Desert Storm. Ken spent several years at NASA Goddard Space Flight Center in Greenbelt, Maryland, working on a computer weather model which helped to strengthen his analytics and data validation skills. Prior to joining Perr&Knight in 2014, Ken began his insurance career at Progressive as a programmer/analyst for agent software development and maintenance. He moved into pricing of personal lines products prior to moving to Westfield Insurance, where he spent several years as a commercial lines actuarial analyst exercising ratemaking practices and working with the risk management team. Ken worked on the company’s first Predictive Modeling project at which time he transferred to a Business Analyst role defining and documenting the detailed predictive modeling requirements for many of the commercial lines products. 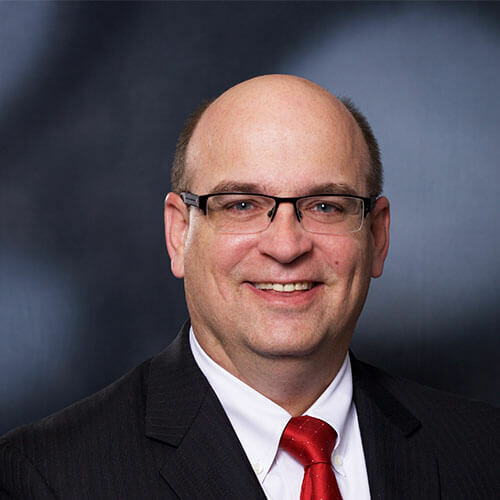 After several years with Westfield Insurance, Ken took on a project manager role at insurance consulting firm, Prima Solutions, where he practiced project management for large IT projects at various insurance companies and became an expert in The ACORD Information Model. Ken co-authored “The ACORD Information Model – A Primer” during his time with Prima Solutions. This book introduces the Information Model in the context of the ACORD Framework to help readers visualize the importance of data to their overall business. Ken presented the Information Model with specific examples geared toward the Property & Casualty and the Life & Health communities at the 2009 ACORD Implementation Forum. Ken also worked at National Interstate Insurance Company as a Product Manager for their commercial vehicle line of business where he was responsible for product growth and profitability. Currently, Ken is operating as a Program Manager for a client’s full Guidewire suite implementation. Ken obtained his Master’s degree in Meteorology from Florida State University. He is a certified Project Management Professional (PMP) and is currently a member of the PMI Central Ohio Chapter.